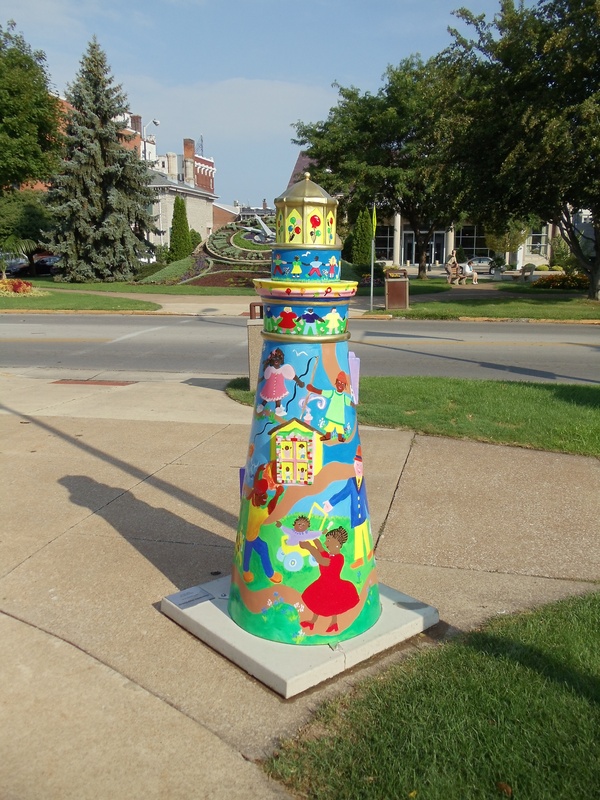 This page is about this wonderful carousel museum in downtown Sandusky, just minutes away from the Cedar Point Causeway. 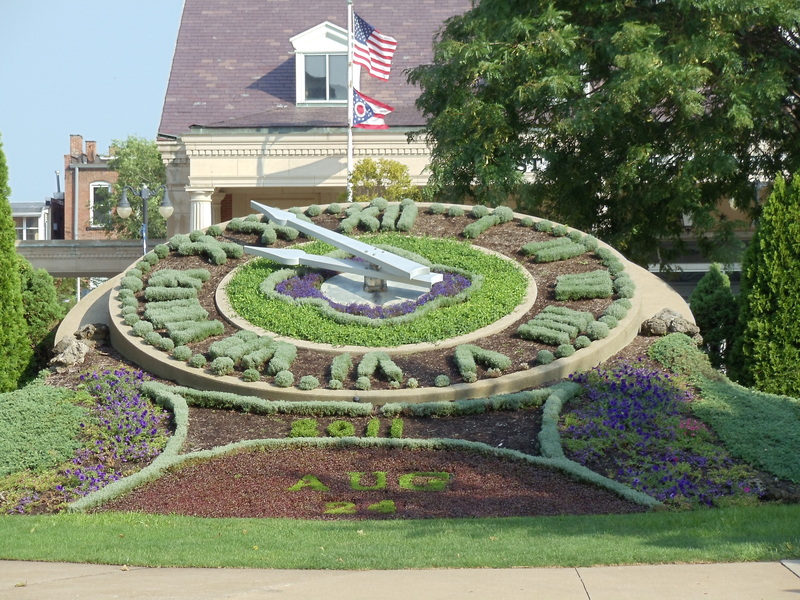 It’s well worth the time to spend at-least a few hours here and enjoying the really beautiful downtown Sandusky area. I got here early on the first day of my trip after picking up my rental car from Enterprise Rent-A-Car so I decided to head to the museum. 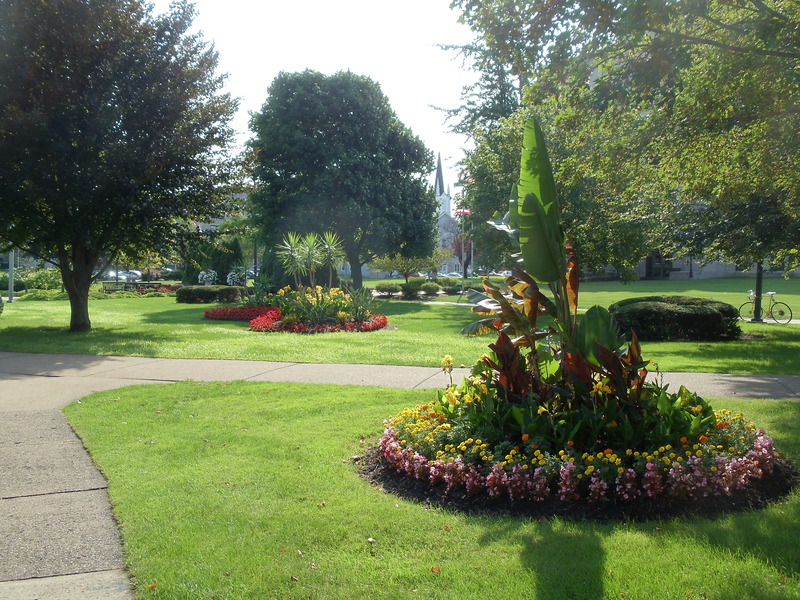 Well I arrived about and hour before the doors opened so I decided to walk around the rather beautiful downtown park to take some photos and kill some time. 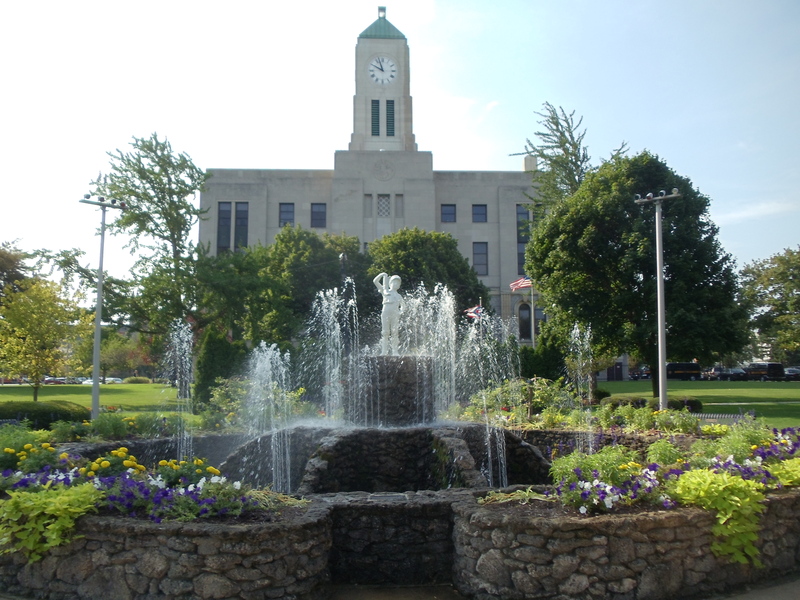 Those of you that live in the Sandusky area really should be proud of the downtown area as it is beautiful and I didn’t notice one chain store or restaurant in this area which was nice to see. 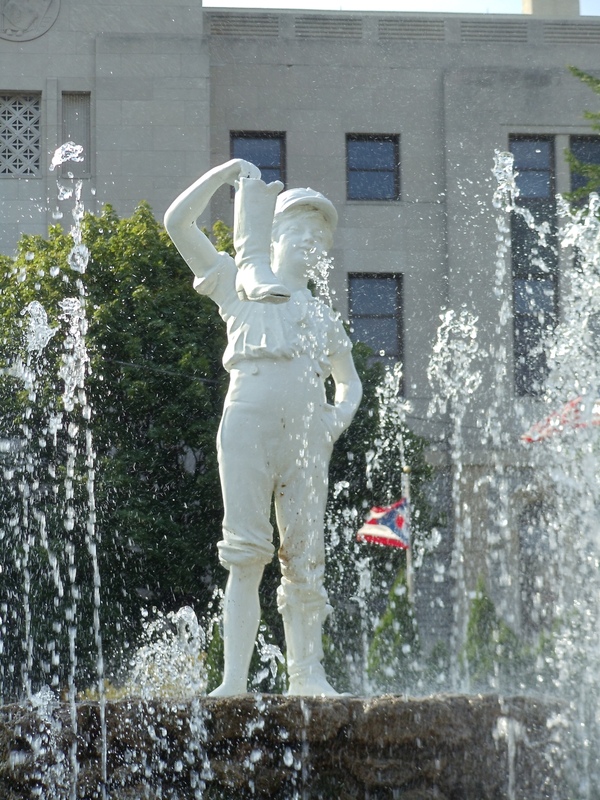 The photo’s below are of a statue called “The Boy with the Leaking Boot” and it is the official symbol of the City of Sandusky. 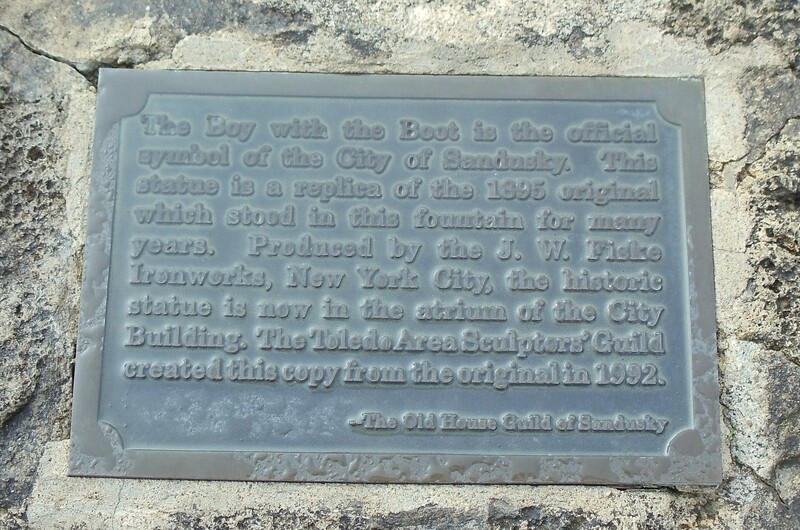 This one is a copy of the original which now sits in the atrium in the city hall building. 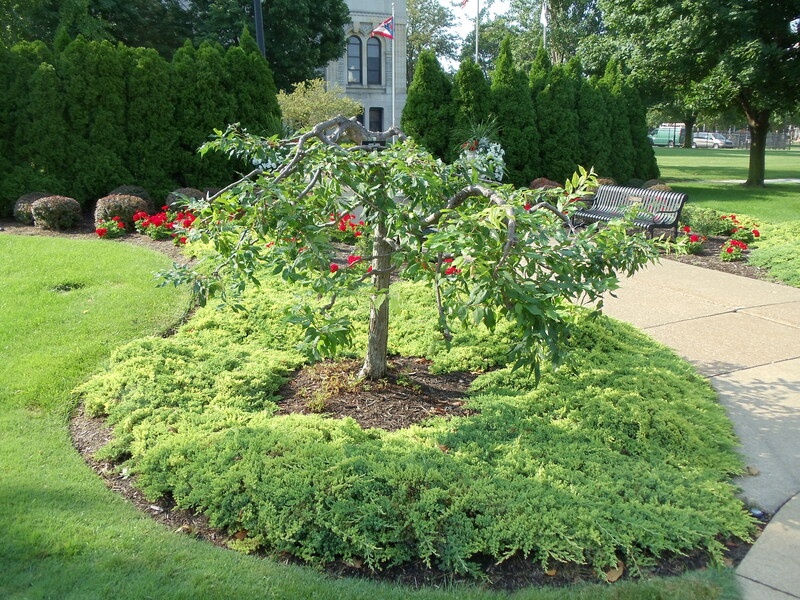 The trees in the background are Crabapple trees like the one in the photo below. 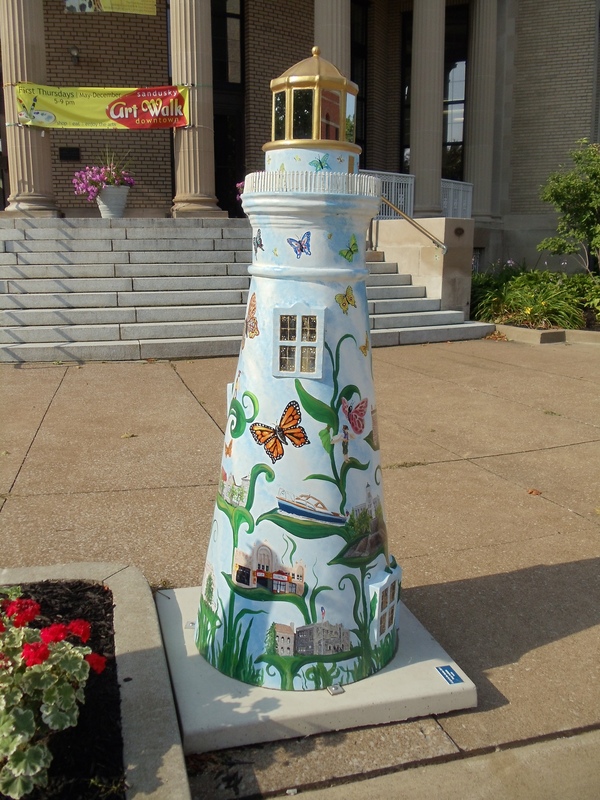 The next photos are of the city park with the “Lighthouse Art” that was going on at the time. 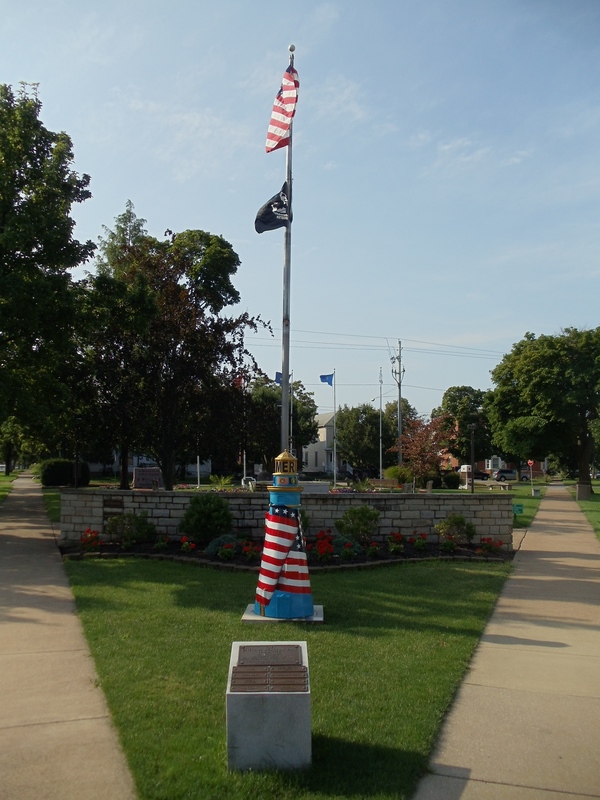 from the Lakefront area. 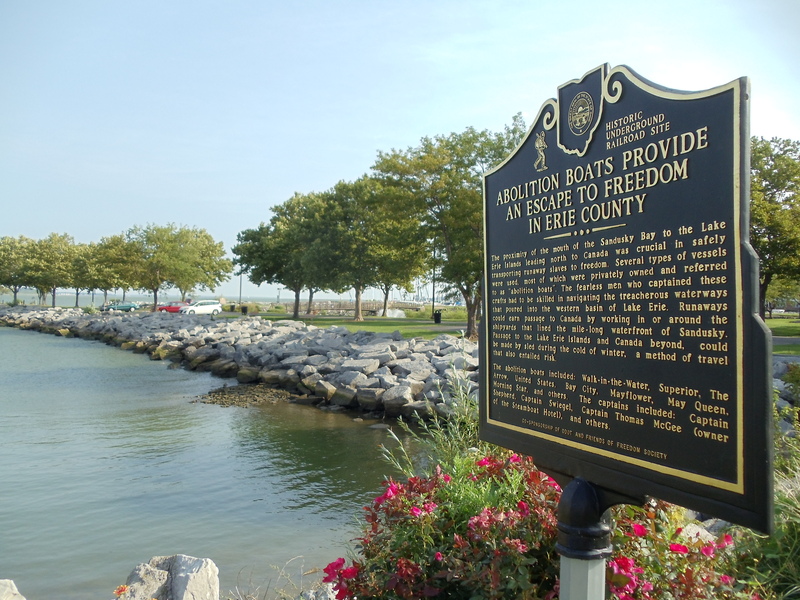 Sandusky was part of the “Underground Railroad” which was a network of safe houses that were used to move escaped slaves from the south to freedom in Canada before the American Civil War in the 1860’s. The Merry-Go-Round Museum is actually inside an old US Post Office Building which is on the National Register of Historic Places. 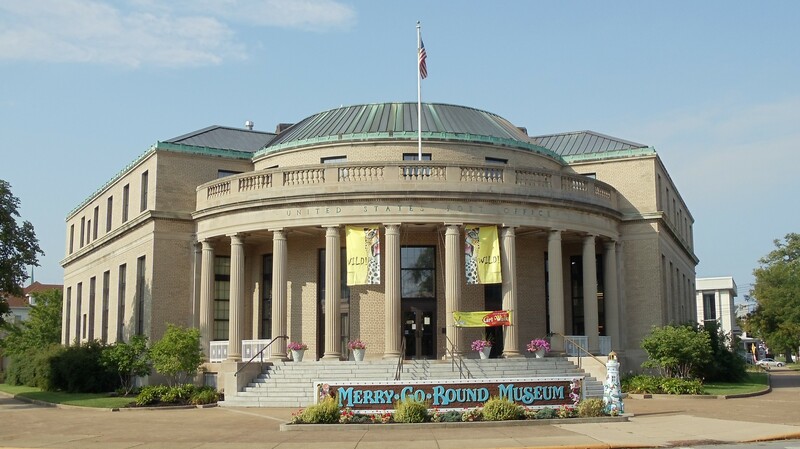 The Merry-Go-Round Museum, a non profit organization, first opened its’ doors on July 14, 1990 with the statement “to preserve and promote the art and history of the carousel”. 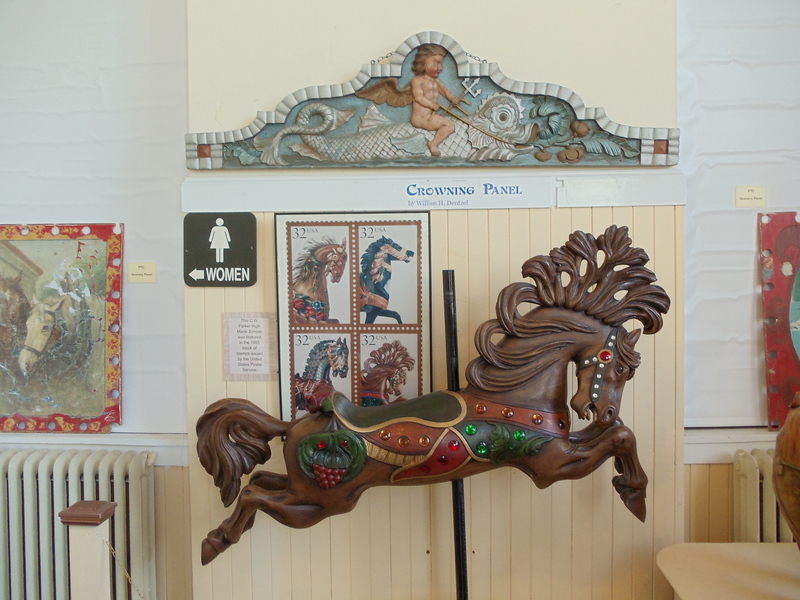 It contains carousel figures, art, band organs, a restoration studio, gift shop, and a working 1939 Allen Herschell carousel. Some of the figures and art are on load on a temporary basis while the others are permanently on loan. In 1988, the US Post Office decided to issue four carousel postage stamps that were designed by Paul Calle. One of those stamps was of the 1925 King Armored Horse from Daniel Muller which is in Cedar Points’ Kiddieland Carousel across Sandusky Bay. The King Armored horse is considered to be one of the most beautiful and rarest carousel animals in existence today. The other ones are a 1880 goat and camel figures from Charles Looff, and a 1895 Gustav Dentzel Deer which you will see in the video. 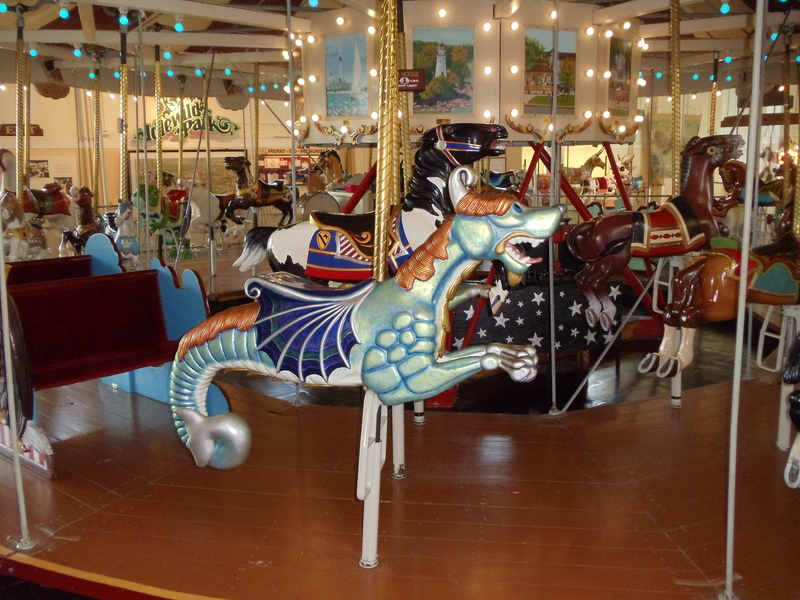 There are three different types of carousel styles and the are Coney Island, Philadelphia, and County Fair styles. The Coney Island style are carousels that have a number of mirrors as well as lots of lights and horses that are flamboyant with a lot of embedded jewels and gold and silver leaf paint. Carousels from Stein & Goldstein, WF Mangels, MC Illions, and Carmel are good examples of that style. 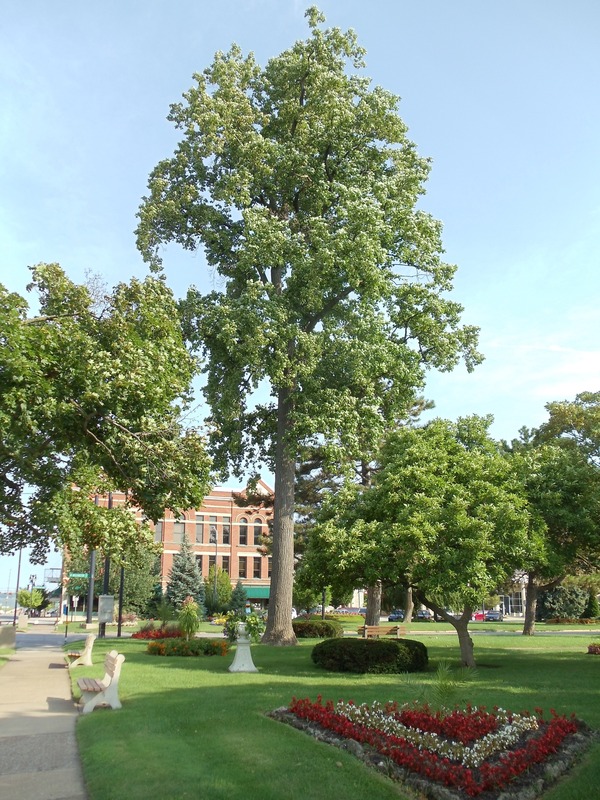 I believe the photo below is a good example of that style. The other two styles are the Philadelphia Style which represent more natural looking horses and menagerie animals (goats, rabbits, giraffes, etc.) 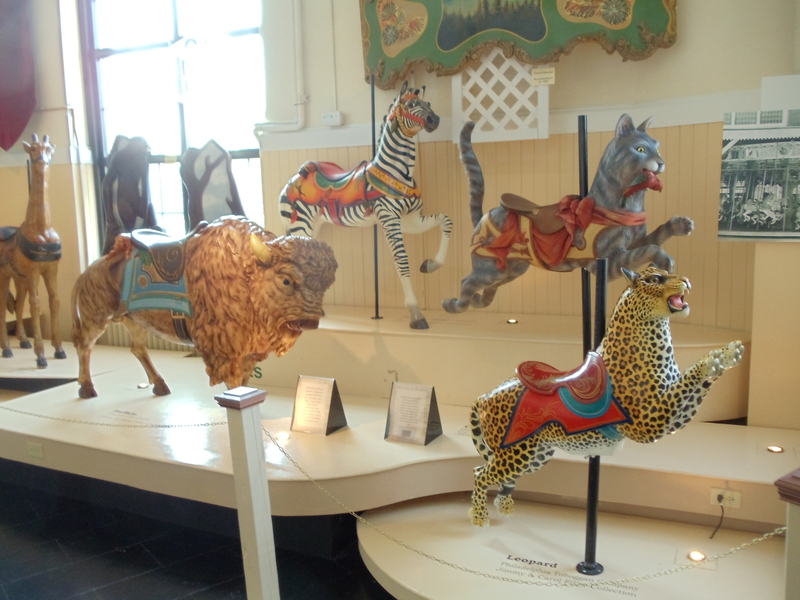 and carousels from PTC (Philadelphia Toboggan & Co), Gustav Dentzel, and DC Muller are great examples of that style. And the County Fair style which is more of a simple style for traveling carousels. Carousels from Allen Herschell, CW Parker, and Spillman Engineering are good examples of that. The carousel at the end of the video is a Allen Herschell carousel populated by a menagerie of animals, some of which were carved museum. The photos below are of animals that were on display when I was there in 2009. 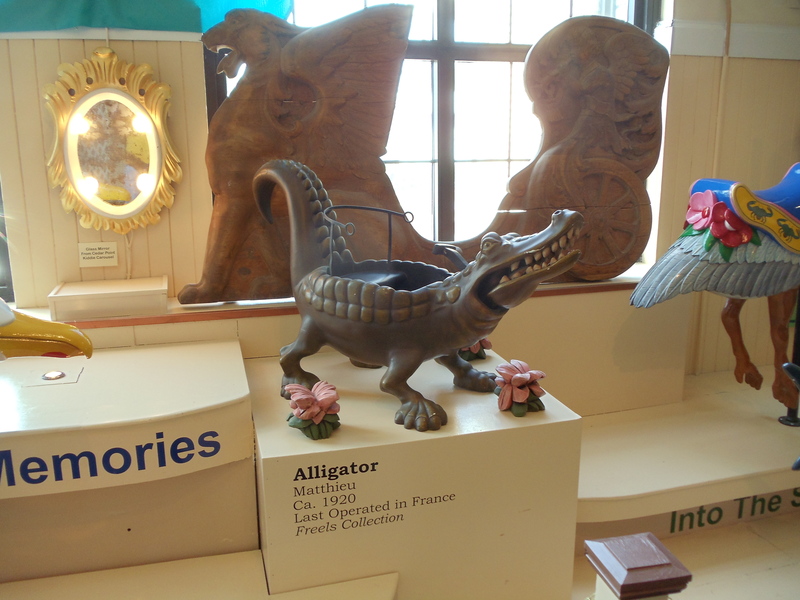 Notice the small Gator and Elephant figures, those are from a French Children’s carousel. The kids would sit in the animals to ride them. 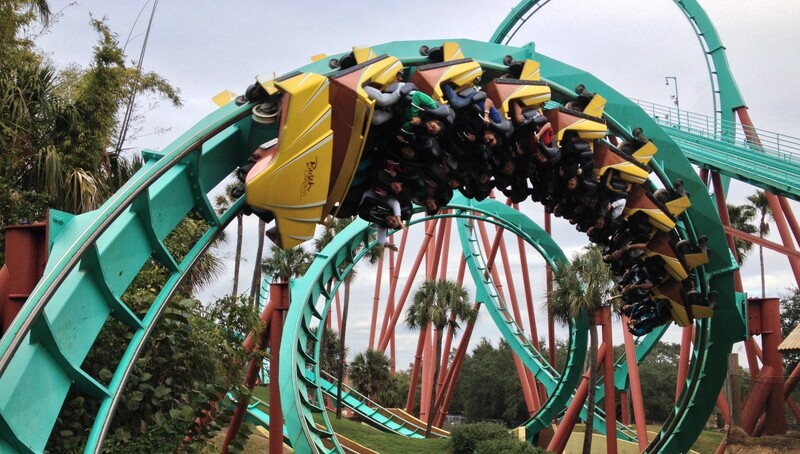 Some even had levers to operate different things like opening and closing the gators mouth. Next are examples of menagerie animals, note the Buffalo, this is one of the most rarest animals in existence. 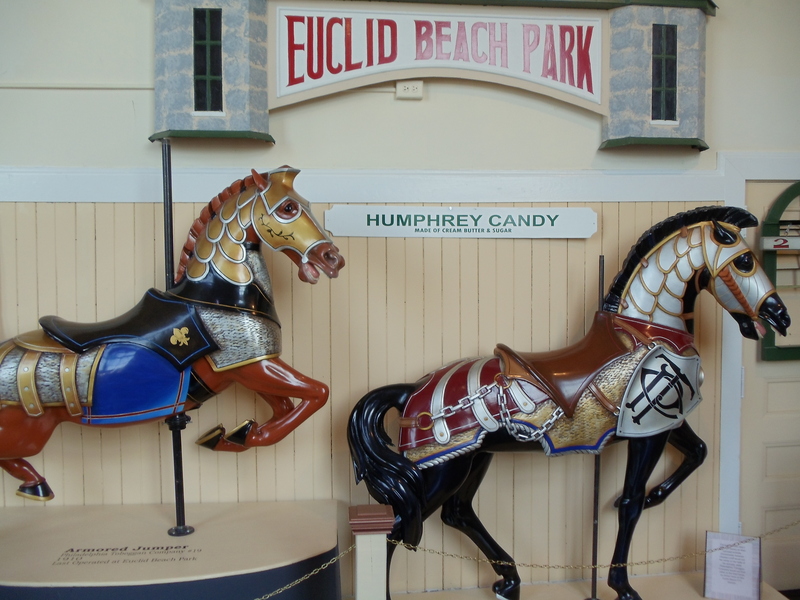 This next photo is of two horses that came from the Euclid Beach carousel which I believe is going to reopen soon very near or possibly inside the former property that once was Euclid Beach Park near Cleveland. 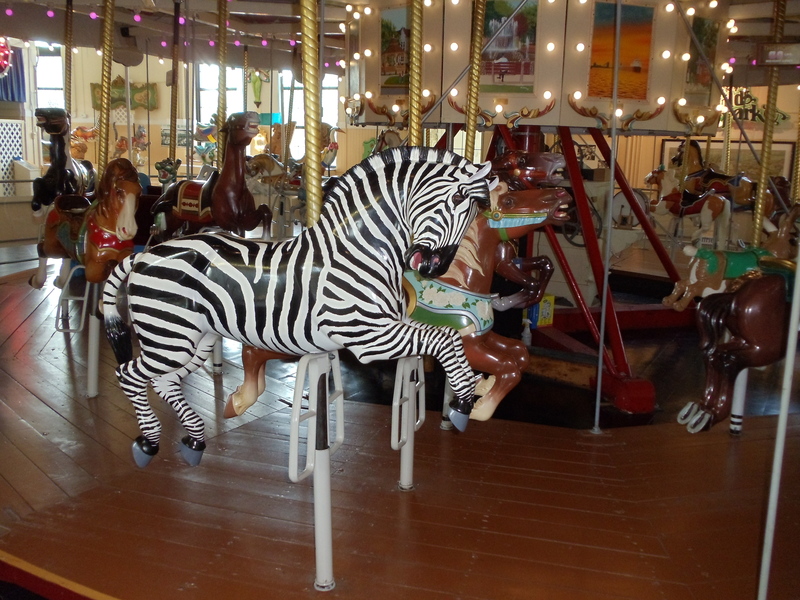 Next are two photos of the animals on the Allen Herschell carousel. 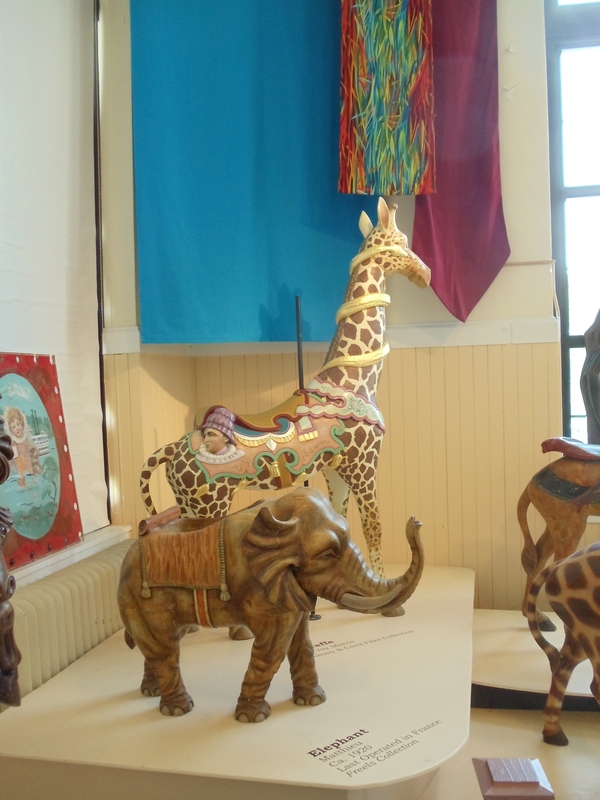 Here’s the full video tour of the Merry-Go-Round Museum. Remember, their displays change every year so what is there now is probably not in this review or video. Please call them for admission rates and hours as they do vary during the year.